Acetaminophen (Tylenol). Most people reach for it for every day headaches like it’s no big deal. Yet acetaminophen is one of the major contributors to liver disease in the US each year. 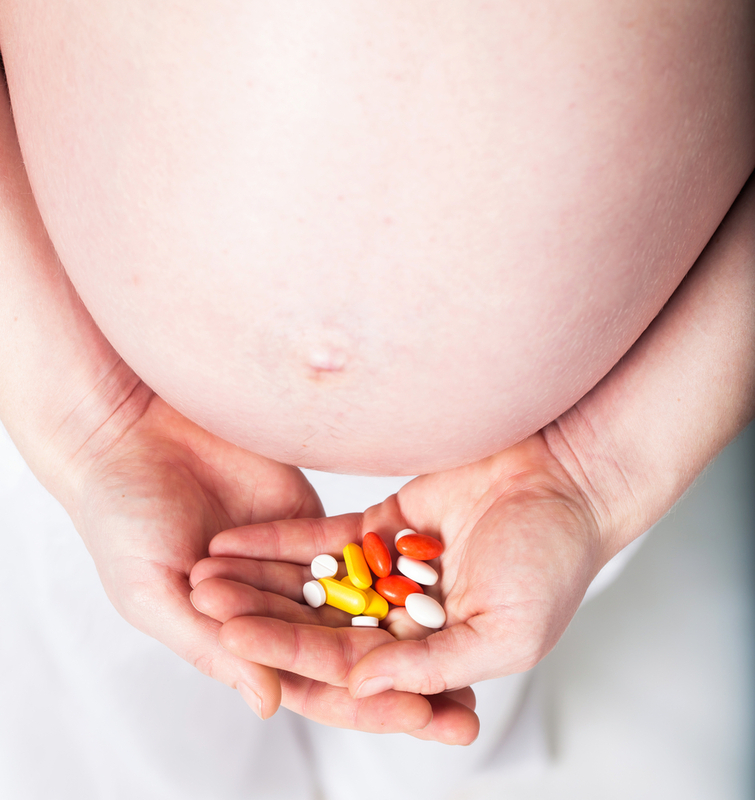 Acetaminophen has also long been considered generally safe for use during all stages of pregnancy, making it the first-choice pain and fever medication for pregnant women. Given the large number of pregnant women using the drug (>50% in the United States; 50%-60% western European), even a small increase in risk of adverse outcomes in the offspring can have important implications for public health. Tylenol has more recently come under new and serious scrutiny. Animal studies suggest that its use in pregnancy can have important implications for neurodevelopment and endocrine function, which is also important for neurodevelopment as well as normal sexual differentiation. It has been associated with as much as a 37% increase in hyperkinetic disorder, a severe form of ADHD, and a 30% increase in ADHD in a study of over 64,000 Danish mothers who took the drug during pregnancy. Risks of ADHD in children went up to 50% in women who took Tylenol for 20 weeks or more during pregnancy. Stronger associations were observed with use in more than one trimester during pregnancy, and the higher the frequency of use, the higher the risk of ADHD and hyperkinetic disorder. A second more recent large study, of 7796 pregnant women who used acetaminophen at 18 and 32 weeks of pregnancy, again published in JAMA Pediatrics has confirmed the findings of this study, found that children exposed to acetaminophen prenatally are at increased risk of multiple behavioral difficulties, and the associations do not appear to be explained by unmeasured behavioral or social factors. It is no surprise that Tylenol could be at the root of problems in developing babies – it depletes a chemical called glutathione that we rely on in our bodies for detoxification, and it also acts as a hormone disruptor. This study, published in JAMA Pediatrics, suggests that acetaminophen may influence fetal brain development. This is also not the first time lack of acetaminophen safety in pregnancy has been raised – it has been linked to undescended testicles in males, an increased risk factor for infertility and later development of testicular cancer. Headaches are a common prenatal problem, and acetaminophen has been considered safe to use, whereas other commonly used headache medications including ibuprofen and aspirin, are not safe for use in pregnancy. 1. Apply a few drops of lavender oil, peppermint oil, or Tiger Balm to the temples; these have been shown to safely and effectively reduce headaches. 2. Many headaches are a result of neck and shoulder tension, so don’t overlook the value of massage, a gentle osteopathic manipulation, or craniosacral therapy for headache prevention and relief. 3. Magnesium can help reduce a tension headache; take 400 – 800 mg/day of magnesium glycinate, or if constipation is also a problem, magnesium citrate in the same dosage. 5. Take a hot bath with 2 cups of Epsom salts, and 5-7 drops of lavender essential oil – the combination of magnesium in the Epsom salts, the aromatherapy from lavender, and hot water is deeply relaxing and can help relieve a headache. Additionally, there are several herbs that are generally considered safe for use in pregnancy, including chamomile and lavender as teas or tinctures for mild headaches, and cramp bark (use tincture, 1/2 tsp every 4 hours) and black cohosh (1/4 tsp every 4 hours, NOT TO BE CONFUSED WITH BLUE COHOSH which is NOT TO BE USED in pregnancy) which I use in combination for more moderate headaches. For a really painful, hard to get rid of headache, I have used Jamaican dogwood (15-2o drops, every 4 hours, up to 4 doses, and not for more than one day, on occasion). Though it is often contraindicated in pregnancy, this is really due to lack of studies, and in this small amount, used infrequently, may be a reasonable alternative to acetaminophen. I also combine it with cramp bark. Cannabis tincture (this is the herbal extract; I am not referring to smoking it or edibles here), though controversial, is also considered safe for infrequent use during pregnancy. It is highly effective, and in this form, does not cause a “high” – it just provides gentle pain relief. Tincture can be difficult to obtain. If you have a sudden onset of a headache, a more severe headache than usual, any visual changes or upper abdominal pain with your headache, or if you have a history of high blood pressure, please see your midwife or physician promptly as these can be signs of more serious illness, like pregnancy induced hypertension or preeclampsia. If you have frequent headaches, getting to the root cause by making sure you are getting enough sleep, reducing excessive inflammation with dietary and lifestyle changes, and making sure you are getting all of your nutrients, including essential fatty acids and protein, is key to optimal wellness and the best thing you can do for you and baby. You might also want to consider working with a functional medicine, integrative medicine, or naturopathic physician skilled in pregnancy care. Wishing you glowing pregnancy wellness! P.S. Want to learn more about herbal medicines that are safe to use during pregnancy so you can help other women? Herbal Medicine for Women is your premiere source for women’s herbal education — taught by an herbalist-midwife-MD with 30 years of experience and international renown in women’s herbal medicine. Thank you! What about safe suggestions for fever reduction in pregnancy? Lemon balm, catnip, hot ginger tea -- all great for fever reduction. For high fever that isn't quickly responsive, a tylenol could be necessary, though generally it only brings temps down by 1 degree. This post is so applicable to me right now! This is pregnancy #4 and for each one I get really bad headaches. The headaches feel even worse since I would normally take an Ibuprofen, but that's on the bad list for pregnancy. Acetaminophen does nothing for the headaches so my normal approach is to take a quiet day (or two), make sure I'm super hydrated (I live in Southern Arizona so dehydration is often a problem) and avoid all noises, lights and smells. Would cooking with ginger, or the candied ginger be as effective as the ginger capsules? Nope, cooking and candied not effective for headaches... Tincture can be used; though. Just curious, why no chirp adjustments? Sorry -- I clarified in the article -- only because of the alleged association with neck adjustments and stroke and the increased stroke risk already of pregnancy. I do recommend chiropractic to many patients for many things, otherwise! What a great article! I was planning to post it to my baby and momma boutique Facebook page until I read you don't recommend chiropractic adjustments. You see, I am a chiropractor who treats many pregnant women and I do manipulate their necks. My question for you is why do you recommend osteopathic adjustments but not chiropractic? Thanks for the information. Thanks, Aviva. Curious why you recommend against chiropractic neck adjustments, since I've had them myself, including during pregnancy. Can you elaborate? xo. Is there a particular reason you do not recommend chiropractic neck manipulation? Is that just for pregnant women or all people? Thank you for this post, I had just heard on news radio about Tylenol not being the best thing to take during pregnancy. I am 15 weeks pregnant with my third baby and I was hoping to find a alternative. I am a newbie of sorts with essential oils and I have some peppermint oil and was wondering if I could still use that while pregnant. Thank you for answering my question! From my understanding, black cohosh IS NOT safe to take before 40 weeks of pregnancy due to the herbs ability to induce labor. That is BLUE cohosh; black cohosh is a muscle relaxer. Won't black cohosh bring on the baby? Black cohosh is a muscle relaxant; blue cohosh is the herb of particular concern. Hey, can you elaborate on natural remedies for migraine headaches? Any suggestions ? Please see my blog on this -- which I will also be re-taping with updates in the next few weeks! Hi! I've read this article over and over and don't see any reference back to why you don't recommend chiro adjustments yet you reply to everyones comment by saying "article update" are you talking about a different article?? Great article, thank you for all the alternatives! Also sometimes simply drinking more water can help. Since you mention finding the cause of headaches, I want to bring up that I've observed that progesterone is very drying. It not only shuts off the production of cervical mucus at the luteal phase of the menstrual cycle, but tends to dry out my nasal and sinus passages (other mucus membranes). I remember from my last pregnancy that my sinus headaches seemed to increase with the progesterone surge. So I would add increasing humidity levels and nasal irrigation (such as a neti pot) to make sure you're getting to the heart of the issue. The pain a of sinus headache can lead to tension headache. Just drinking plenty of water isn't sufficient to hydrate those nasal membranes. You need good steam, mist or irrigation. Can you use a TENs unit on your shoulders while pregnant? I get horrible knots there that trigger migraines. I've already tried the chiropractor and I'm taking the magnesium. Nothing seems to help them. Try acupuncture - the motor point of your trap is a point that in Chinese medicine should NOT be stimulated. It has a down bearing energy. In mice a combination of points (this one included - GB21) caused uterine contractions. Acupuncture has been proven safe and effective for alleviation of migraines and I wonder why this wasn't mentioned? Don't forget to drink enough water. So many headaches are brought on by dehydration. This information was very helpful! I am on my second pregnancy (lost the first baby early) and I am 9 weeks along with this one. I am so scared to take anything for my mild headaches, which I've heard are normal in the first trimester. Thank you! Greetings and thank-you for the wonderful article, I noticed that one of the alternatives listed was cannabis tincture, what part of the plant is recommended for making this? Tinctured fresh buds. Hard to get, but very effective if you can, especially split half and half with cramp bark. Hey Aviva, I practice in Colorado where the discussion of Cannabis use during pregnancy is still regarded as unsafe; despite studies showing very little negative effects on baby we just don't know how MJ affects the endocannbinoid system as baby is developing. So, what dosing do you recommend for cannabis and headaches? Hi aviva, Another great antiinflammatory would be tumeric! Shatavari can also help hormonal headaches and nausea, although the west doesn't usually recommend it in pregnancy because Of phytoesteogen they do use it in India. There is lacking evedience of plant hormones actual impact on fetal growth so I felt comfortable taking it. What do you recommend for barometric pressure change headaches? I get these quite often (getting worse as the climate is changing) and have found absolutely nothing for relief. Before I went holistic, I used to use the following for a pressure headache, 1 Benadryl sinus (now off the market because of sudafedrin) and 2 Excedrin for migraine. I have tried Neti pot, drinking water, magnesium, essential oils, and nothing touches these headaches. I'm not pregnant at the moment, but nursing two children (older sister and 6 month baby). Even if I was to try Tylenol, I've taken it in the past before kids and it does nothing. Help! Great article, but I am disappointed not to see acupuncture listed, as it is both very safe during pregnancy and effective for alleviating headaches.